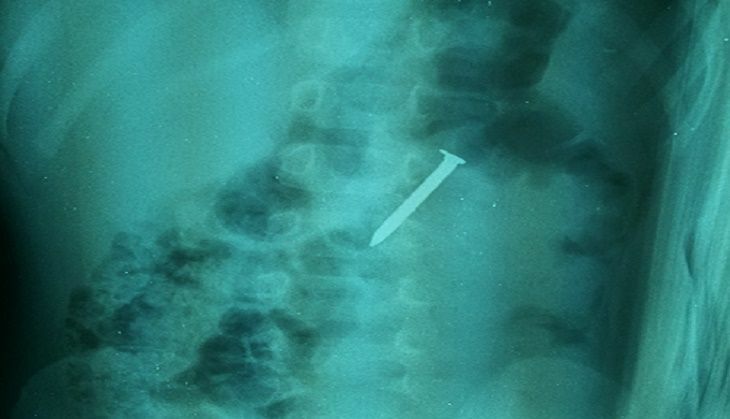 In a rare case of medical history, a senior surgeon of Shillong Civil Hospital has removed a toothbrush from the stomach of a patient without a surgery. The patient, a 50 plus lady came to see Dr. Issac Syiem, a senior surgeon in the Shillong Civil Hospital and narrated the whole incident. Prior to this, she had visited other doctors in the hospital, who referred the case to Dr. Syiem. After preliminary investigation, Dr. Syiem was surprised to know that the patient was in no discomfort and suffered no pain. The patient, a resident of Lower Mawprem, told him that she would have never approached any doctor if not for her daughter’s insistence. As the X-ray reports could not detect the toothbrush, Dr. Syiem suggested her to undergo for endoscopy and the toothbrush was spotted in her stomach. Dr Syiem said that they have used an endoscope, hooked the object and successfully pulled the brush out through her mouth. “No surgery was needed in the process. The patient was kept under observation for a few hours and was discharged on the same day. Even though there was no discomfort, the situation could have turned life threatening had she not been brought in for medical aid,” the doctor added.